Luckily your man Dan has come to the rescue with his and hers gifts no one but the extremely picky can ignore. No don't thank me - yet. 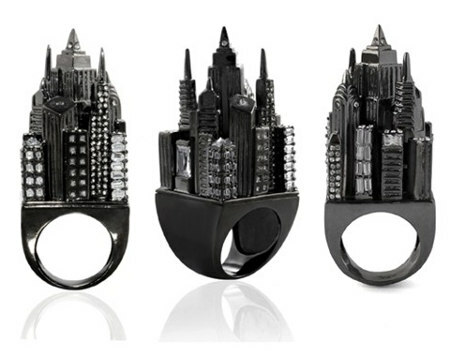 FOR HER: Remember when you told her if you could you'd put the city in the palm of her hands? Well now you can slip it on her finger! And not just any city either, but the city to end all cities - Gotham itself. If this hasn't completely cast the shadow of the bat over your savings, the fine folks at Noir Jewellery have more DC themed rings necklaces and sparklies sure to get her eyes shining, including diamond studded Wonder Woman bracelets (swoon). 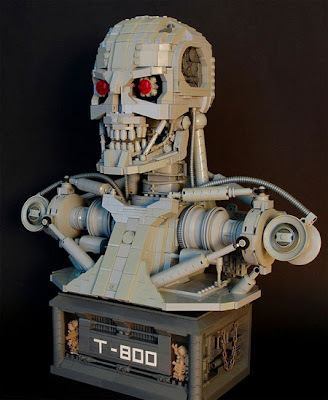 Now a T-800 Terminator may not seem like the most heartfelt gift in the world, but with light-up eyes it will say all those nice things you say with words in a way he'll finally understand. 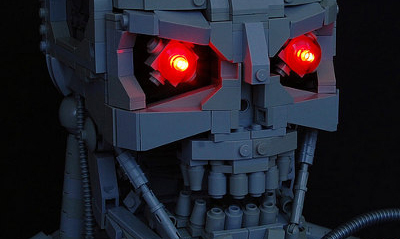 Flickr user Thire5 will be able to give you the heads up on assembly, but don't be surprised if once you're done you want to keep it for yourself. I probably would.